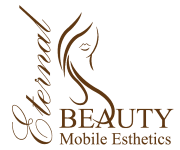 Eternal Beauty Mobile Esthetics (Beauté Éternelle) is one of the top Mobile Spas in Ottawa-Gatineau. With Eternal Beauty’s in-home esthetics and massage therapy services, you receive a true spa experience right in the comfort of your own home. Our professionally-trained, experienced staff will pamper you with luxurious services, using only top quality salon products. We come to you, whether it is at your home, your place of business, a hotel, the hospital, a retirement residence or your favorite resting spot. Let us save you all the time and stress of getting around town. Our unique in-home spa services are ideal for women with busy day schedules, new moms, elderly or convalescing people in the hospital or long term care facilities. Serving women, couples and groups throughout the Ottawa-Gatineau region. Services Our mobile spa services provide spa quality treatments in the comfort of your own home. Choose from manicures, pedicures, facials, eyebrow shaping and Registered Massage Therapy (available upon special arrangements only through our associate RMTs). Spa Party Our Mobile Spa Parties are the perfect way to celebrate any event or get together, for an unforgettable day within the comfort of your own home, office or hotel. Bring the day spa experience to your bachelorette party, bridal or baby shower, corporate event, employee appreciation and wellness day, or a girl’s night in. Click on the image above to find out more. Products We take great pride in offering only the highest quality products and services. Using industry leading traditional and organic products, highly effective techniques and a devoted and skilled team of professionals, we make it our mission to ensure that you receive the best possible care and results. Click on the image above to find out more. 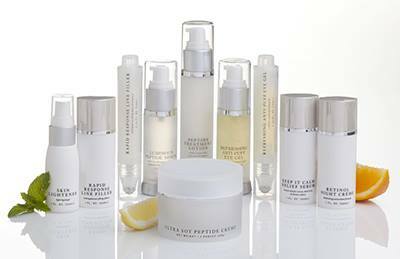 We comply with standards of the Canadian Society of Professional Skin Care Specialists (CIDESCO) and Leading Spas of Canada. Rest assured that we are fully committed to providing the highest level of service, knowledge and safety to our valued customers. We use only the highest quality service standards and products. Hygiene is probably the most important concern for any esthetic business. It is vitally important that all tools receive thorough and proper sanitized between each and every client. All of our stainless steel tools and equipment is sanitized, disinfected using high level hospital-grade products and sterilized using UV-C (ultraviolet) sterilization where necessary. View our hygiene techniques here. NOTE: For residential appointments, a minimum of $80 in esthetics services is required per esthetician, and/or 90 minutes of massage therapy per massage therapist. 48 hour prior notice is required to make an appointment. 24 hour cancellation notice is required. Spa Parties (groups of 3 or more) require a minimum $160 of billable esthetics services, and/or 2 hours of massage therapy. It is best to book your Spa Party at least four weeks in advance. Please allow one week for Spa Party cancellations.